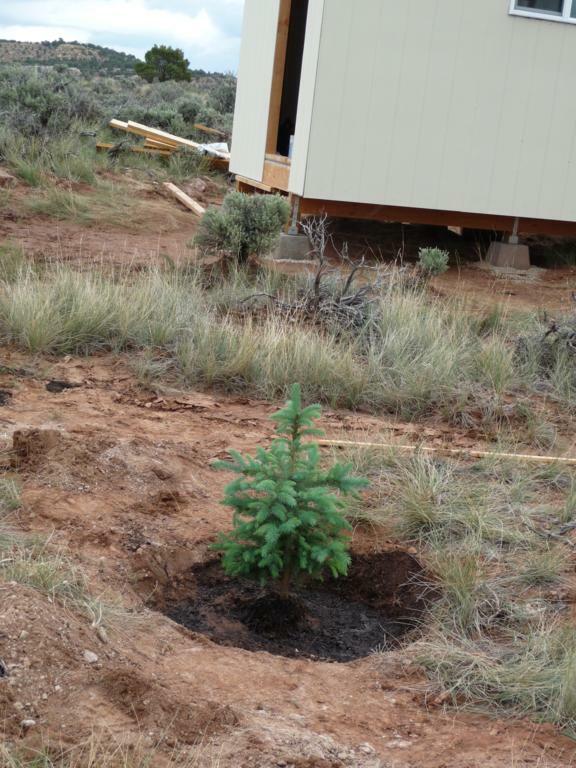 During construction of the mini-cabin we planted four small Colorado Spruce trees, primarily to see how well they would grow. I think they were about $15 each. 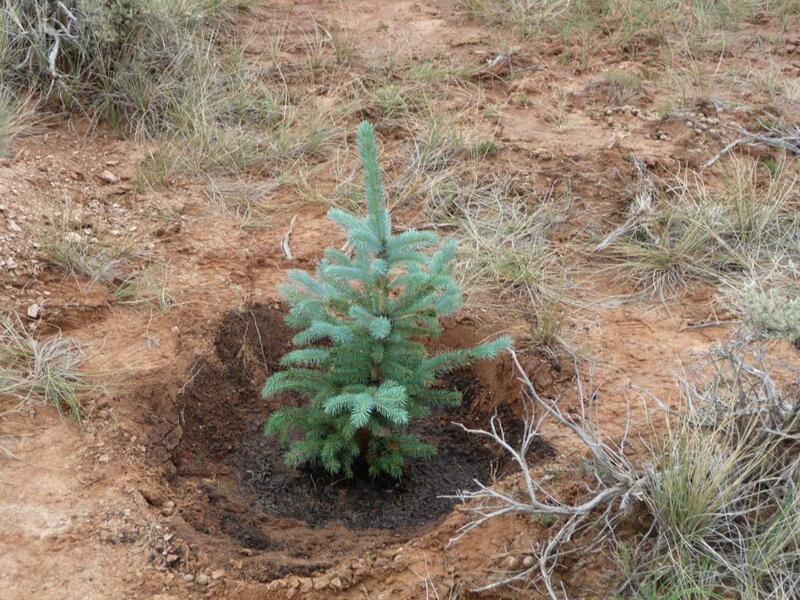 We took some soil from the property to the nursery when we went to look for trees and Mike (of Mike's Nursery) assured us they would grow. 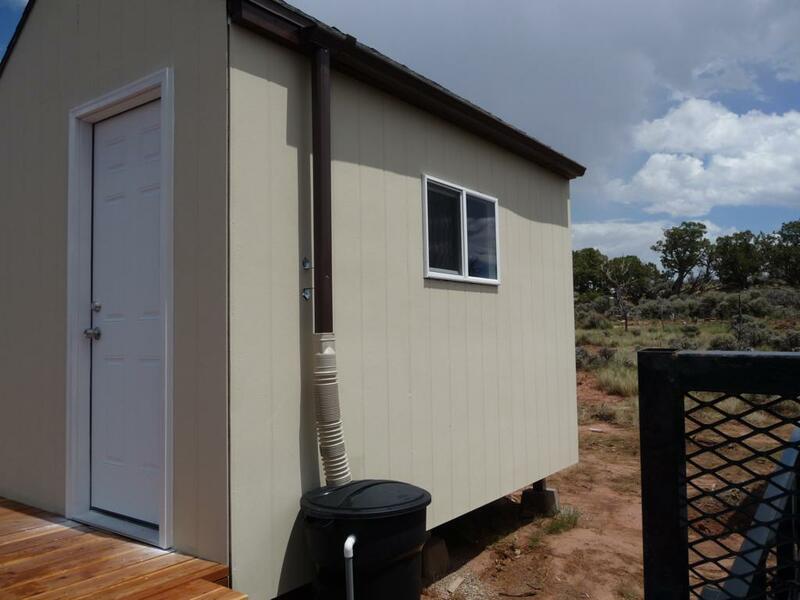 Mike smelled our dirt and pinpointed the location of our property right away which was a neat trick so we tended to trust his assessment. 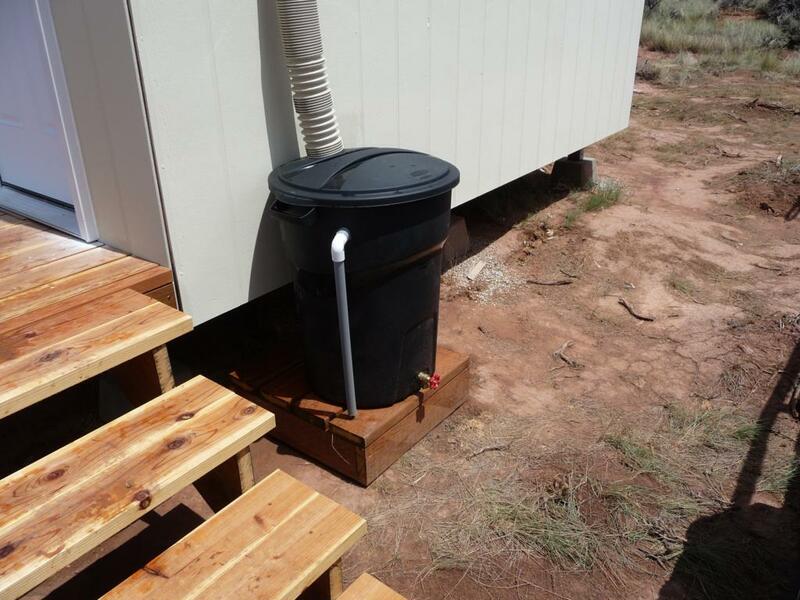 After planting the trees I got tired of hauling water out every week to water them so I built a rain catchment system to catch rainwater off the cabin roof. It worked well during summer but around mid-December the collection containment vessel (garbage can) developed cracks in the bottom, likely from the water inside freezing and expanding. I'm not sure what to replace it with yet. 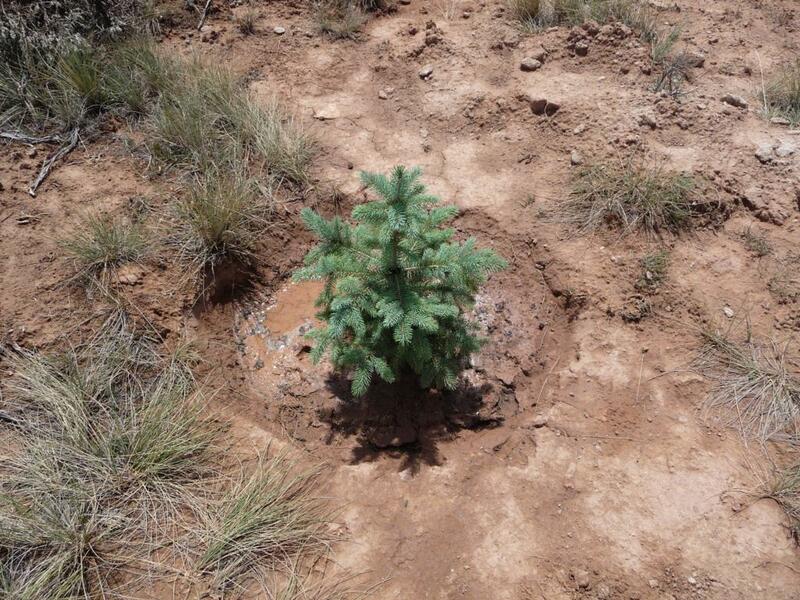 We planted the trees in May and they seem to be doing okay now in early January.